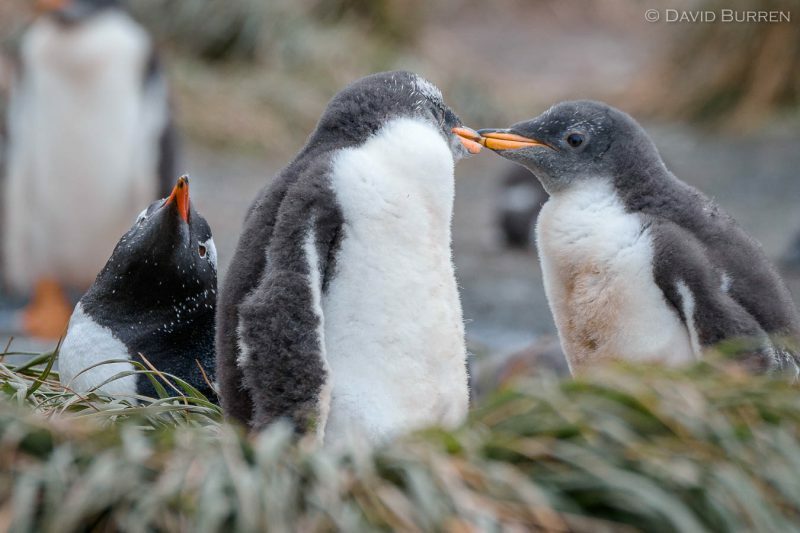 These Gentoo Penguins had set up home in the tussock grass next to some buildings at the Australian research base on Macquarie Island. I found the juxtaposition of the chicks interacting while their parents were away along with the adult on a nearby nest quite cute. We will be returning to Macquarie Island in December on our next Subantarctic LuminOdyssey!